With the help of former PayPal president David Marcus, Facebook first rolled out its payment platform on Messenger last month for users in New York City. Today, the feature is now available to all users in the US. Messenger P2P PaymentsWe’re happy to announce that Messenger person-to-person payments are now available to everyone in the U.S.! 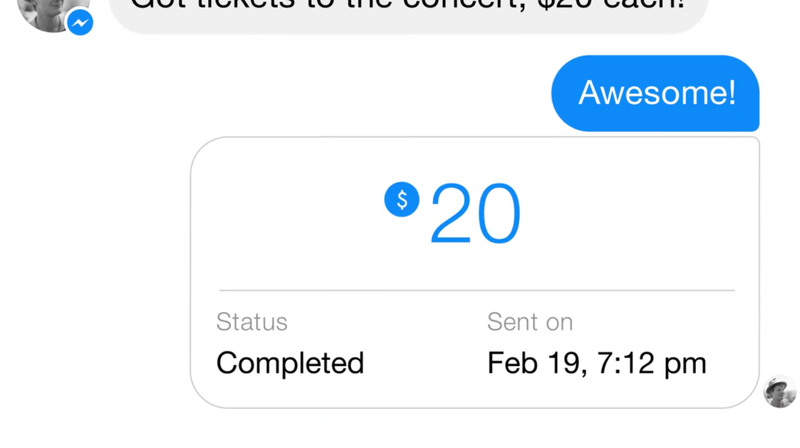 Add your Debit Card and pay anyone on Messenger in a few taps. Money goes straight from your checking account to the recipient’s checking account. Easy and safe. As always, give it a try it and let us know how we can make even better for you! To pay friends via Messenger, all you have to do is add a debit card so you can pay straight from your checking account without fees. To request payments, simply type the dollar amount and it will hyperlink users to a payment window. Alternatively, you can click the coin icon below the text box. To make this work seamlessly, both you and your friend need to have your checking accounts synced to Messenger. Otherwise, you’ll be prompted to add your bank information to receive and make payments. Now that Messenger no longer requires a Facebook account to sign up, Marcus is clearly is gearing up to take Venmo head on.